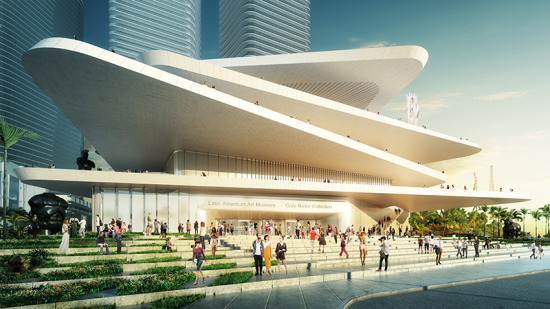 With Art Basel underway, not-quite-yet-starchitect Fernando Romero has unveiled new plans for what could become Miami‘s next architectural icon: the Latin American Art Museum (LAAM). 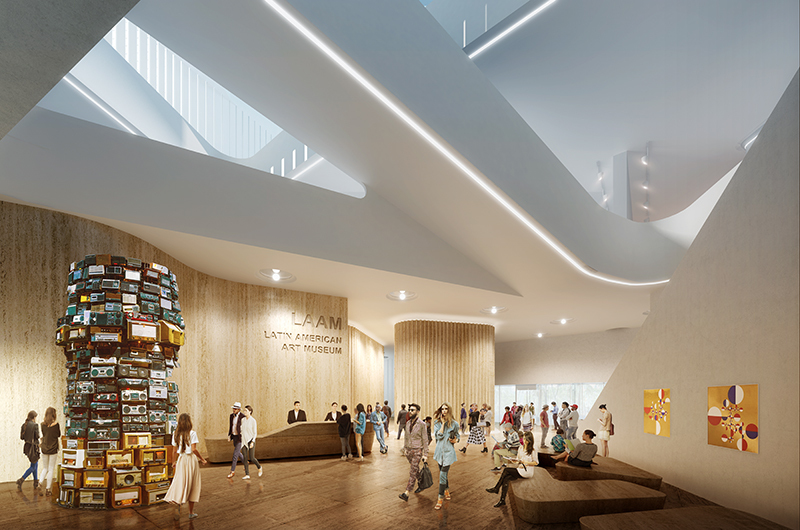 That’s right, this 90,000 square foot, cantilevering structure could overshadow the nearby works of his higher-profile peers like Frank Gehry, Zaha Hadid, and Lord Norman Foster. And Jeanne Gang and Herzog & de Meuron. 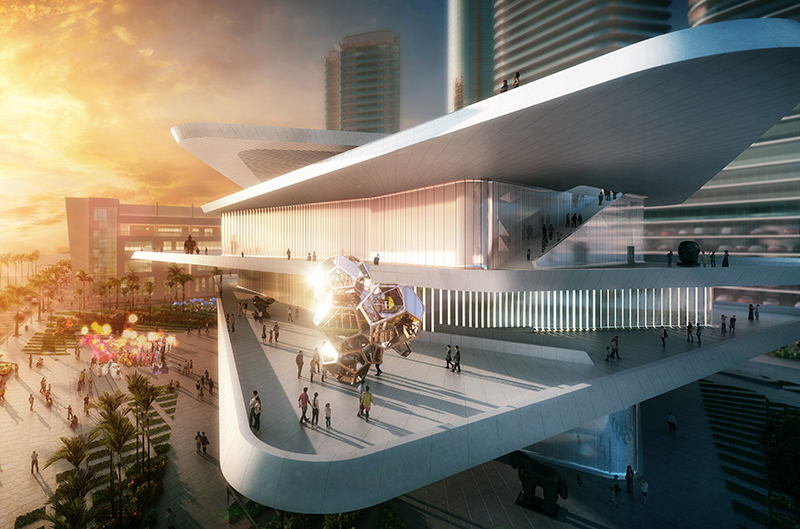 And also Bjarke Ingels and Enrique Norten, because Romero’s—sorry, and Richard Meier and Rem Koolhaas. Okay, that has to be everyone. All starchitects have been accounted for. Where were we? Right, the Latin American Art Museum. 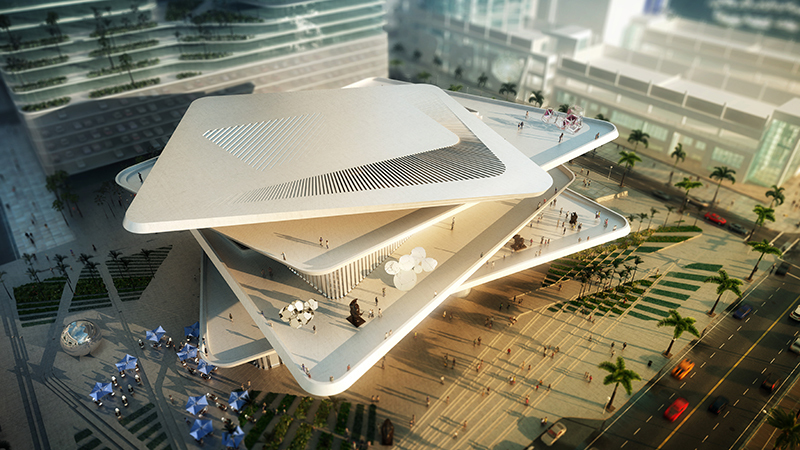 Romero’s firm, Fernando Romero EnterprisE (FR-EE) has created an arresting structure defined by generous, crisscrossing terraces that provide circulation and open-air gallery space called “sculptural gardens.” Together, the rotated squares evoke a deck of cards being shuffled or an uneven stack of plates. 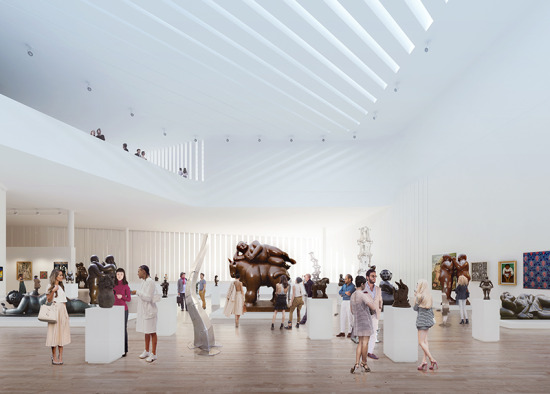 In October, the Miami Herald reported that the museum is being funded by local art collector Gary Nader, and that it will heavily draw from his own collection. Right, kind of like George Lucas and his contested museum of narrative art in Chicago. Nader will reportedly build a residential tower on the same piece of property in Downtown Miami to help pay for the museum, which is expected to open in 2016.